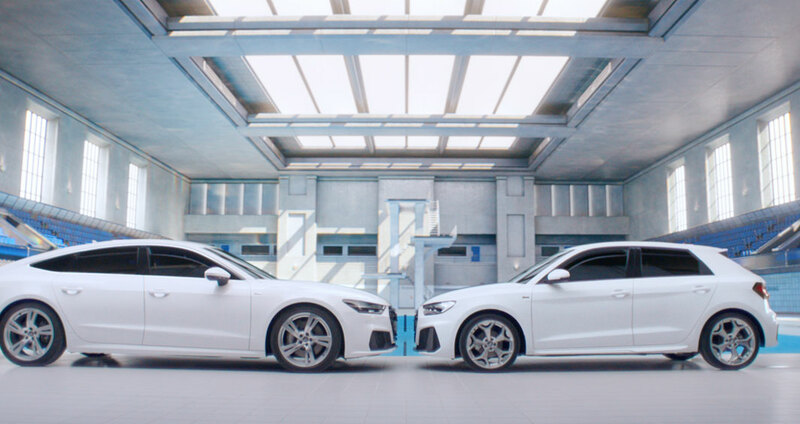 Working closely with BBH and Director Johnny Hardstaff at Independent, The Mill helped create this flawless spot for Audi. 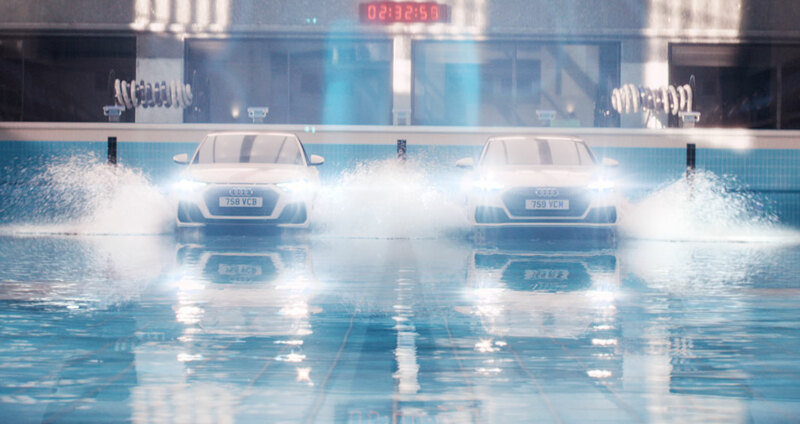 Taking place in an empty swimming pool, the spot emphasises the beauty of the Audi cars as they complete a captivating, choreographed sequence around the pool. 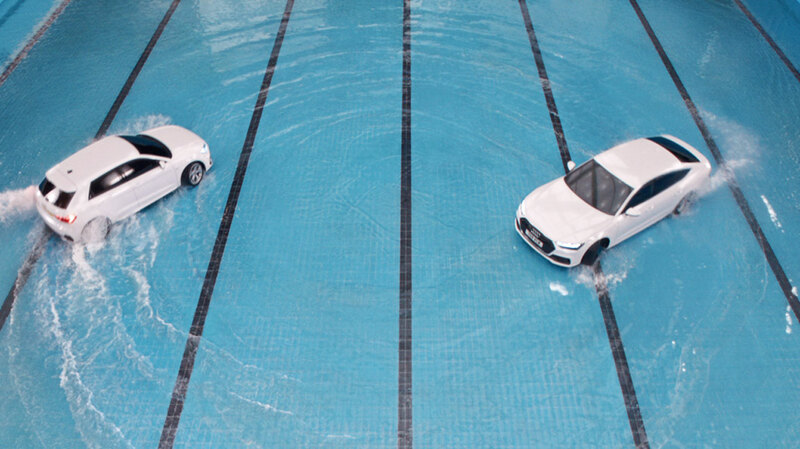 As they move seamlessly through the water, they compliment each other perfectly, aiming to show that all Audi models have the same capabilities, tech and attitude. No matter their size. 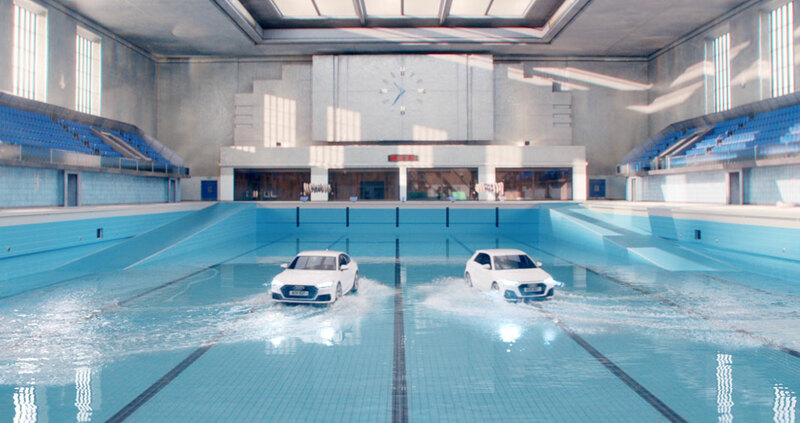 Whilst much of the car action was shot in camera the entire environment around the pool was crafted in CG. 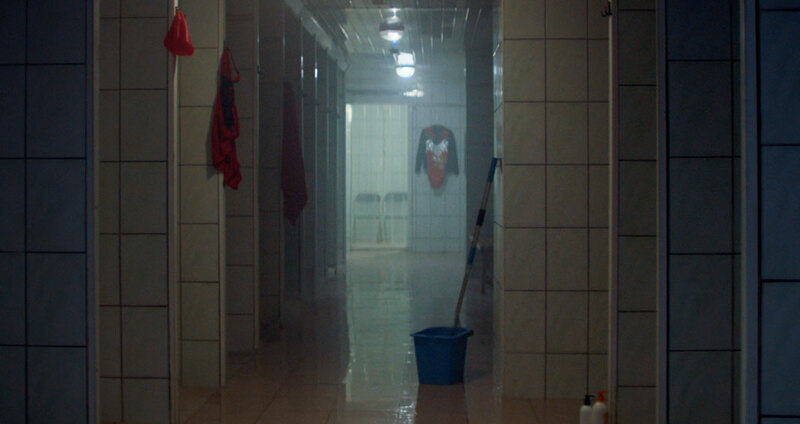 The Mill’s VFX team worked closely with Director Johnny Hardstaff throughout to ensure the extensive work that went into this ambitious project was invisible to the viewer. Dan comments ‘It was very easy to collaborate with Johnny as we share similar aesthetics. 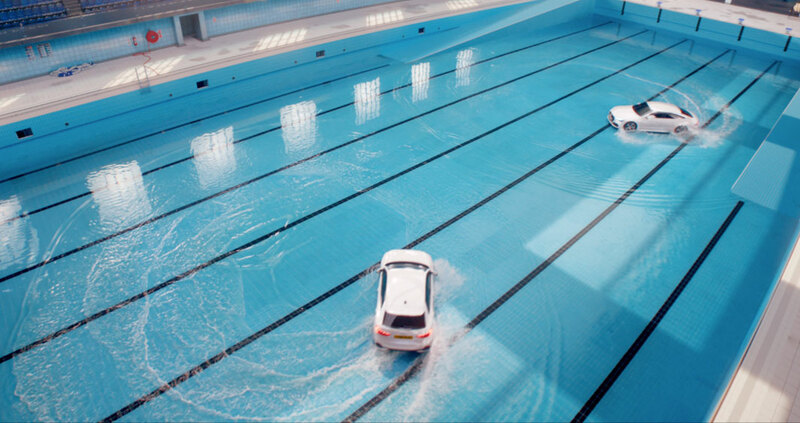 Through various references he gave us, we conceptualised the 3D pool arena. Clean, strong lines, a kind of soft brutalism that was the perfect supporting canvas in which the cars could perform. 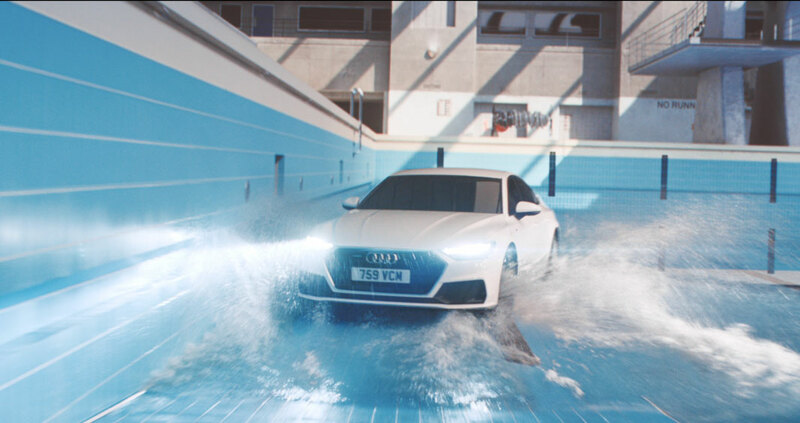 Having designed the exterior of the pool, we could then give Director of Photography Martin Rhue the exact dimensions and positions of where to place his giant light boxes, so they correlated with the geography of our model.